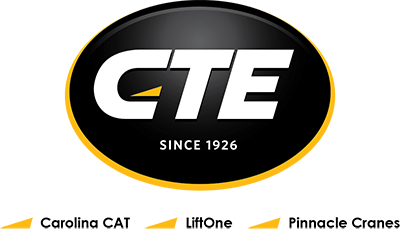 The Territory Sales Rep is responsible for representing CAT construction equipment in a defined geographic territory with the ultimate goal of sale or lease purchase of these products. You will be combining technical knowledge with sales skill to profitably grow revenue for the company and maximize market share. This position requires someone that has a strong technical acumen, is assertive, personable, and solutions-oriented. In this position, you will identify new sales opportunities and manage a book of assigned business, develop sales proposals, estimates, and presentations. You will prepare strategic plans to increase revenue and position Carolina CAT as the premier partner for construction equipment. The ability to work with people and teams is essential - therefore mirroring the value profile of Carolina CAT. Develop and deliver product demonstrations and sales presentations that explain why a customer should consider a change, why it makes sense now and then why you and Carolina CAT are in the unique position to deliver the solutions that will benefit the customer. Understand and Report on significant market trends and competitive intelligence. Identify customer business opportunities by analyzing cost-benefit ratios of equipment in customer environment or proposing changes in equipment, processes, or services. Build a strong understanding of customers’ business issues ie: inventory, asset management, ROI, financial statement analysis. Maintain and document customer interactions within a CRM and quoting system from first meeting to deal closure and follow-up activities. Previous sales experience with industrial products and services or technical sales.